Are you the one who God has chosen to lead us forward in 2018? 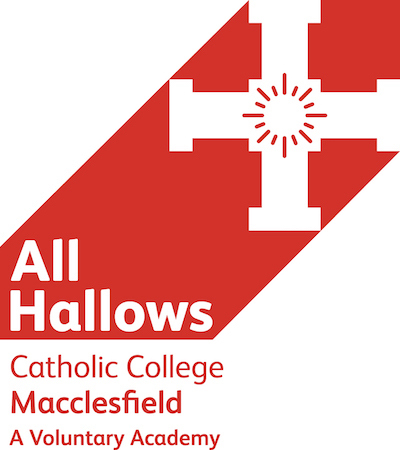 All Hallows is an all-ability 11 -18 Catholic Voluntary Academy and Teaching School with a big heart and a national reputation for excellence. Our College has built sustainable school improvement on a passionate focus on teaching with a high value being placed on our young people’s personal development and spiritual well-being. Working at All Hallows and within our Multi Academy Trust is an opportunity to join a progressive teacher-learning community, inspired by Christian values, which focuses on the art, craft and science of teaching, as a noble vocation, in a place where students enjoy learning. Our new Principal will be attracted by this exciting opportunity in Catholic education, for there is much work yet to do in the areas of teaching, training and School to School support to name but a few. You will be joined in all your endeavours by an enthusiastic team of governors, trustees, staff and students that hum with common purpose to ‘Aspire not to have more but to be more’ (Mission Statement / Oscar Romero). A practising Catholic with successful experience of leading on whole school improvement and managing change with demonstrable outcomes is essential. For an existing Principal/Head this could be the next big challenge you seek …or equally for an experienced Vice Principal/Deputy Head and still yet untapped potential. For further details or to have an informal discussion, please contact Liam Dowds, our Emmaus Leadership Advising Consultant who is assisting us with this assignment, in complete confidence, on 01737 652 043 or ldowds@emmausleadership.me. All posts are offered subject to agreement to sign the CES contract of employment with the Holy Family of Nazareth Catholic Academy Trust and enhanced DBS clearance suitable for working with children and young adults.